The council recommended that the existing boundaries be preserved without any change. The committee was set up last year to examine the borders of the Haram of the Prophet’s city when questions were raised on the matter. The royal approval was given after Grand Mufti and Chairman of the Council of Senior Religious Scholars Sheikh Abdul Aziz Al-Asheikh endorsed and submitted the recommendations of the committee, which was approved by the majority of the council. The committee’s recommendations included leaving the signposts at the borders without any change as determined by a previous committee in 1969. That committee’s report on the Haram borders was implemented with the approval of the late Grand Mufti Sheikh Muhammad bin Ibrahim Al-Asheikh. On the basis of the report of the present committee, the council did not see any justification to the demand to review the present borders. The committee had come in to its conclusion after extensive studies and discussions with researchers and experts, a source said. The council also viewed that any change to the borders would invite unnecessary disputes and cause confusion among the people, a source told Arab News. 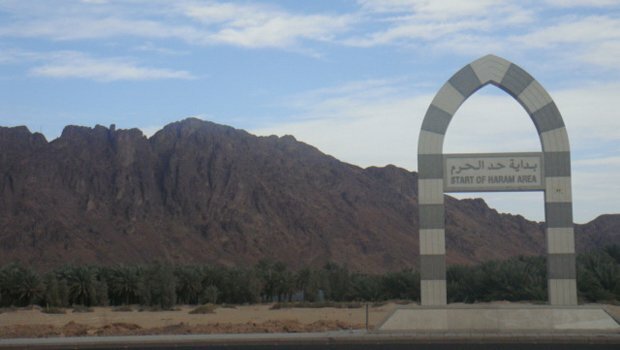 The Haram border committee appointed by the council included Sheikh Abdullah bin Suleiman bin Manie as its chairman with members Sheikh Abdullah bin Muhammad Al-Mutlaq, Sheikh Ahmad bin Ali Mubaraki, and Sheikh Muhammad bin Husain Al-Asheikh.